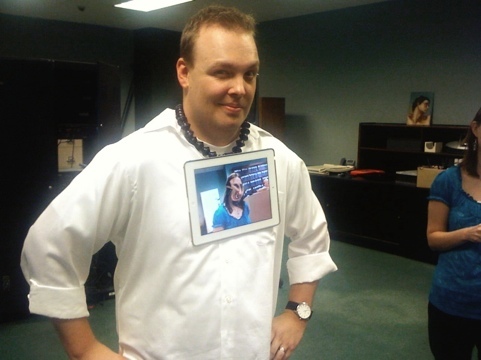 Don’t ask why I’m wearing this iPad as a necklace. Ask why you aren’t wearing one. This entry was posted in shenanigans, video, wildlife. Tagged apple, iPad, jewelry, necklace, shenanigans.